NEWS RELEASE – REHEARSALS BEGINNING MAY 13! 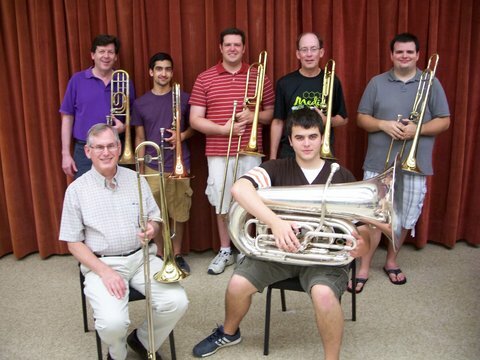 WAYNE COUNTY HISTORICAL SOCIETY SUMMER COMMUNITY BAND 2015 The WCHS Summer Community Band (sponsored by an anonymous donor for the Wayne County Historical Society) is looking forward to another summer of fine concerts. This band is an effort to remind us of the bands which many communities had back a century or so ago. The Wooster “Board of Trade Band” with their concerts in the old bandstand in front of the now “Everything Rubbermaid” store was an example of this type of band. Great appreciation is extended for our donor’s generosity! The band will be performing under the baton of Mr Randy Claes of Wooster. The Wednesday, June 17 Concert is planned to be in the St. Mary’s School Gymnasium (across Bowman St. from the Historical Society). The Thursday, July 30 concert is scheduled to be in “Downtown Wooster” in front of the “Everything Rubbermaid” store. Spectators will need to bring their own chairs to the outside concert. If the weather does not permit being outside, it will be held in St. Mary’s School Gymnasium. We plan to begin rehearsals in the College of Wooster Scheide Hall rehearsal room on Wednesday, May 13 at 7:00 pm. Rehearsals will continue on Wednesday evenings with the exception of the concert night until July 29. We greatly appreciate the wonderful cooperation of the College of Wooster Music Department and C.O.W. Music Conductors Nancy Ditmer, Jeff Lindberg, Tom Roblee and Ned Brooks with our Summer Community Band!! Anybody that plays a band instrument (including percussion) is welcome to join us, young or not so young, experienced or not so experienced!! We have ranged from 13 to 93 years of age! We will be playing “fun” songs – marches, show tunes, patriotic songs, etc. If you haven’t played your instrument for a while, now is the time to “dig it out” and get practiced up and join in the fun!! Any questions contact Jerry Payn at 330-345-5547 or <gmpayn@sssnet.com> or Randy Claes at <randyclaes@gmail.com>. Hope to see you there!